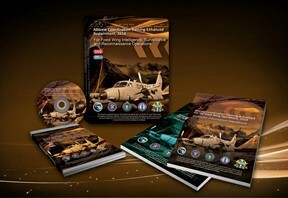 The Aircrew Training and Standardization Program utilizes an instructor that integrates the use of interactive software with customized training videos. The program consists of an initial 8-hour training and an annual 4-hour sustainment training. Key objectives are based on Federal Aviation Administration (FAA) and Department of Defense (DoD) aircraft accident experiences. During the program, the objectives, principals and qualities are explained and demonstrated through the use of in-classroom exercises and scenario-based videos that reinforce the ACT Program and illustrate various principals.